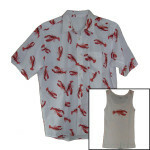 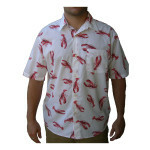 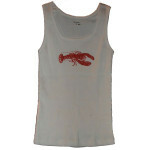 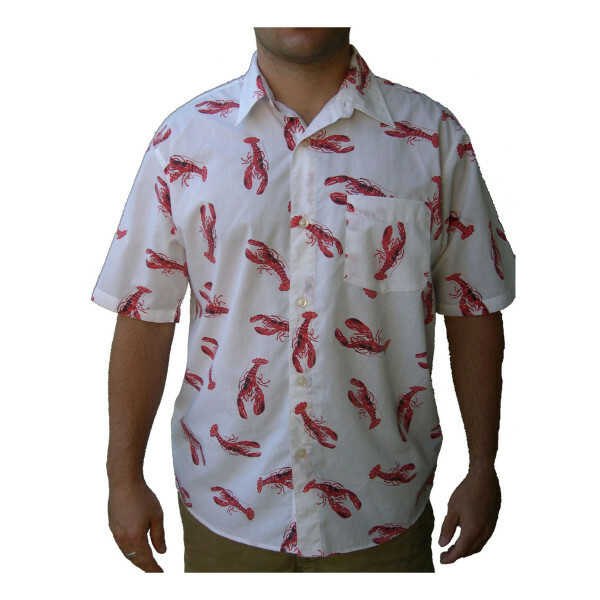 Select Size for the Men's Lobster Shirt. Select Size for your FREE Lady's Lobster Tank Top! The chart below details the dimensions (in inches) for each size of the lobster shirt. 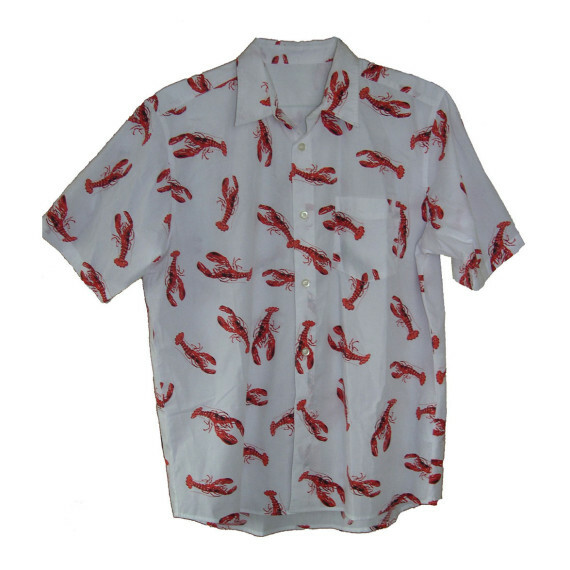 There is a label on the collar indicating the size of the lobster shirt and another label on the inside of the lobster shirt on the bottom that indicates washing instructions and an extra button. All lobster shirts are brand new and have not been worn before. All sales are final and exchanges are only available for extraordinary circumstances.